James Madison (1751-1836) was a founding father of the United States and the fourth American president, serving in office from 1809 to 1817. An advocate for a strong federal government, the Virginia-born Madison composed the first drafts of the U.S. Constitution and the Bill of Rights and earned the nickname “Father of the Constitution.” In 1792, Madison and Thomas Jefferson (1743-1826) founded the Democratic-Republican Party, which has been called America’s first opposition political party. When Jefferson became the third U.S. president, Madison served as his secretary of state. In this role, he oversaw the Louisiana Purchase from the French in 1803. During his presidency, Madison led the U.S. into the controversial War of 1812 (1812-15) against Great Britain. After two terms in the White House, Madison retired to his Virginia plantation, Montpelier, with his wife Dolley (1768-1849). 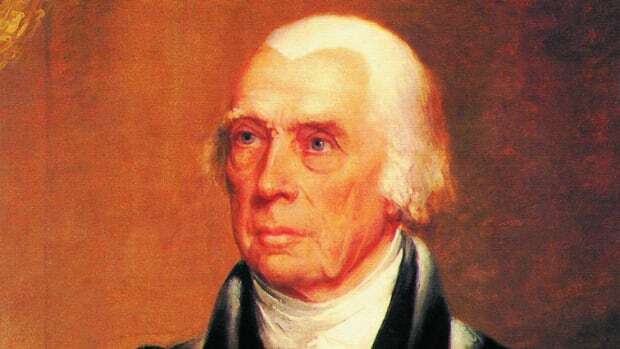 James Madison was born on March 16, 1751, in Port Conway, Virginia, to James Madison Sr. and Nellie Conway Madison. 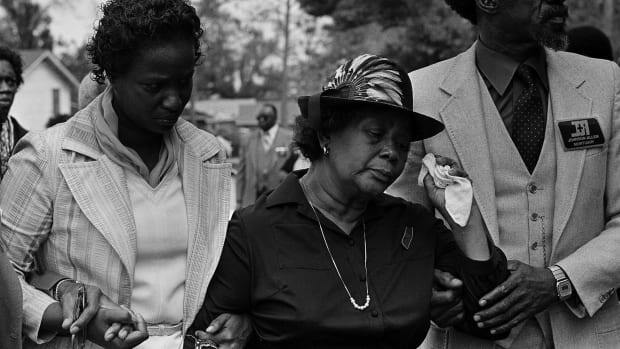 The oldest of 12 children, Madison was raised on the family plantation, Montpelier, in Orange County, Virginia. At age 18, Madison left Montpelier to attend the College of New Jersey (now Princeton University). Did you know? Montpelier, James Madison&apos;s Virginia plantation home, was established by his grandfather in 1723. An estimated 100 slaves lived at Montpelier when Madison owned it. The property was sold after this death. Today the estate, which covers some 2,600 acres, is open to the public. After graduation, Madison took an interest in the relationship between the American colonies and Britain, which had grown tumultuous over the issue of British taxation. When Virginia began preparing for the American Revolutionary War (1775-83), Madison was appointed a colonel in the Orange County militia. Small in stature and sickly, he soon gave up a military career for a political one. In 1776, he represented Orange County at the Virginia Constitution Convention to organize a new state government no longer under British rule. During his work in the Virginia legislature, Madison met lifelong friend Thomas Jefferson (1743-1826), author of the Declaration of Independence and the third president of the United States. As a politician, Madison often fought for religious freedom, believing it was an individual’s right from birth. In 1780, Madison became a Virginia delegate to the Continental Congress in Philadelphia. 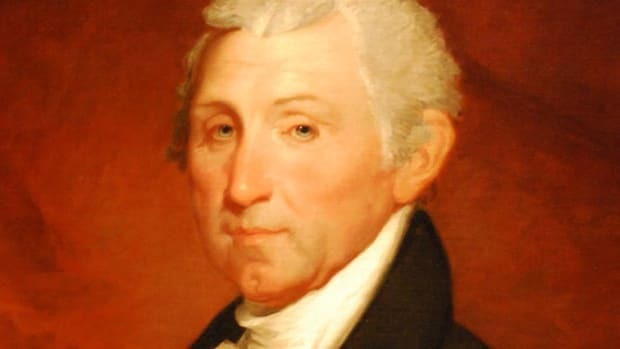 He left Congress in 1783 to return to the Virginia assembly and work on a religious freedom statute, though he would soon be called back to Congress to help create a new constitution. After the colonies declared independence from Britain in 1776, the Articles of Confederation were created as the first constitution of the United States. The Articles were ratified in 1781 and gave most of the power to the individual state legislatures who acted more like individual countries than a union. This structure left the national Congress weak, with no ability to properly manage federal debt or maintain a national army. 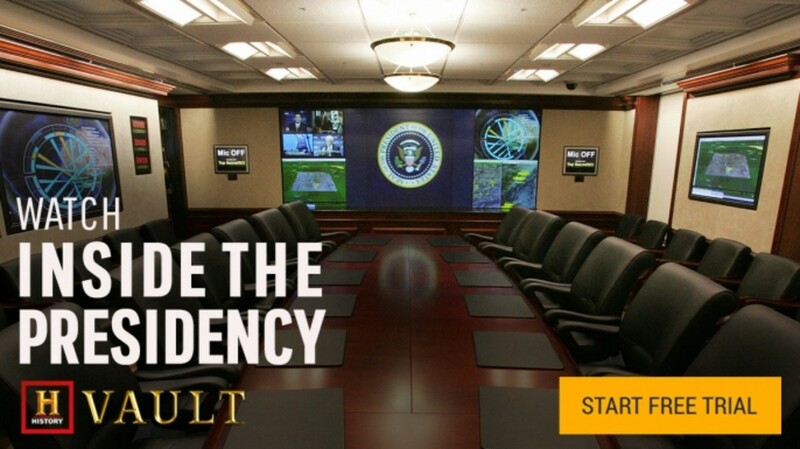 Madison, after undertaking an extensive study of other world governments, came to the conclusion that America needed a strong federal government in order to help regulate the state legislatures and create a better system for raising federal money. He felt the government should be set up with a system of checks and balances so no branch had greater power over the other. Madison also suggested that governors and judges have enhanced roles in government in order to help manage the state legislatures. Once the new constitution was written, it needed to be ratified by nine of the 13 states. This was not an easy process, as many states felt the Constitution gave the federal government too much power. Supporters of the Constitution were known as Federalists, while critics were called Anti-Federalists. Madison played a strong role in the ratification process, and wrote a number of essays outlining his support for the Constitution. 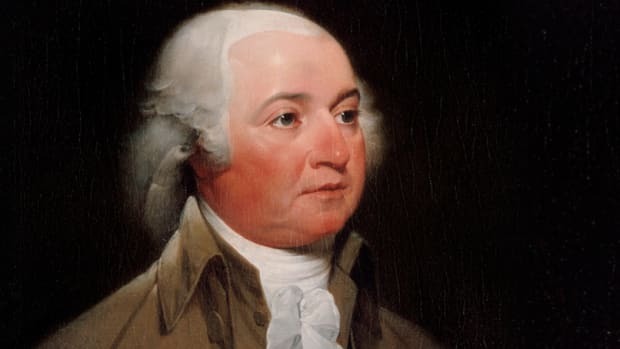 His writings, along with those penned by other advocates, were released anonymously under the title “The Federalist,” a series of 85 essays produced between 1787 and 1788. After extensive debate, the U.S. Constitution was signed by members of the Constitutional Convention in September 1787. The document was ratified by the states in 1788 and the new government became functional the following year. Madison was elected to the newly formed U.S. House of Representatives, where he served from 1789 to 1797. 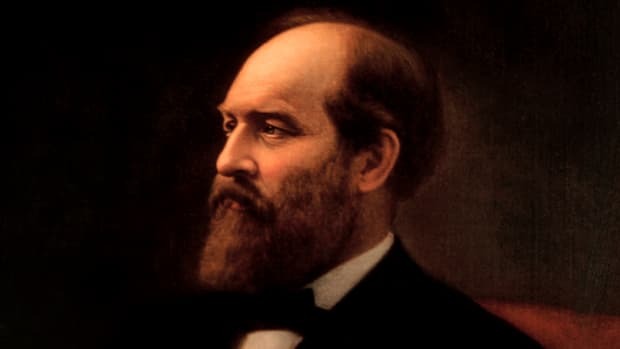 In Congress, he worked to draft the Bill of Rights, a group of 10 amendments to the Constitution that spelled out fundamental rights (such as freedom of speech and religion) held by U.S. citizens. The Bill of Rights was ratified by the states in 1791. In the new, more powerful Congress, Madison and Jefferson soon found themselves disagreeing with the Federalists on key issues dealing with federal debt and power. 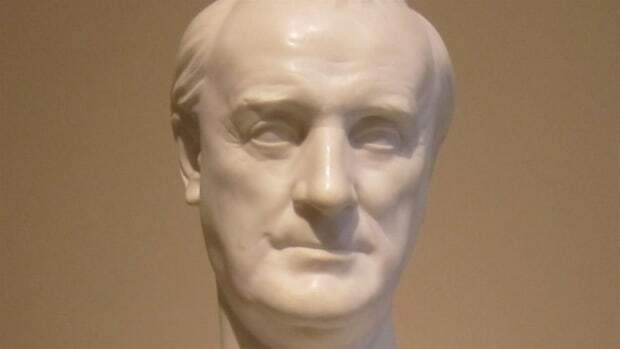 For example, the two men favored states’ rights and opposed Federalist leader Alexander Hamilton’s (c.1755-1804) proposal for a national bank. 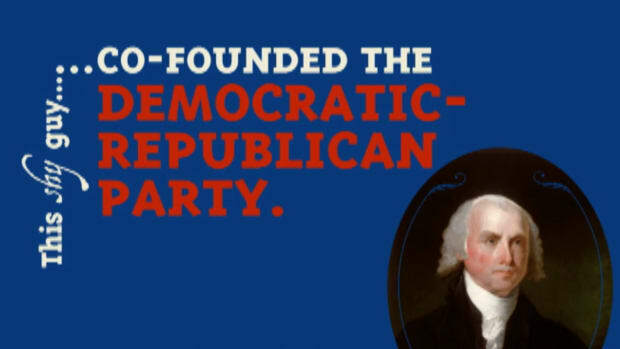 In 1792, Jefferson and Madison founded the Democratic-Republican Party, which has been labeled America’s first opposition political party. 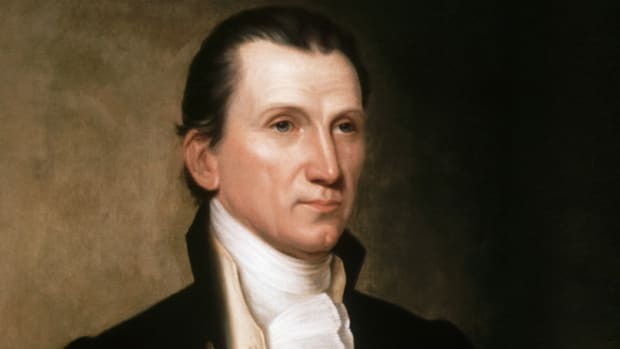 Jefferson, Madison and James Monroe (1758-1831) were the only Democratic-Republicans ever to become U.S. presidents, as the party divided into competing factions in the 1820s. Madison also new development in his personal life: In 1794, after a brief courtship, the 43-year-old Madison married 26-year-old Dolley Payne Todd (1768-1849), an outgoing Quaker widow with one son. 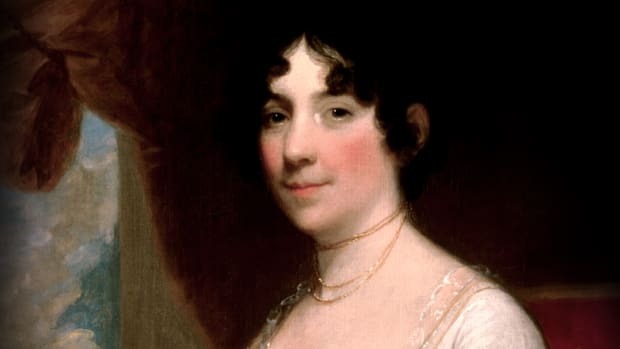 Dolley’s personality contrasted sharply with that of the quiet, reserved Madison. She loved entertaining and hosted many receptions and dinner parties during which Madison could meet other influential figures of his time. During the couple’s 41-year marriage, they reportedly were rarely apart. Through the years, Madison’s friendship with Jefferson would continue to thrive. When Jefferson became the third president of the United States, he appointed Madison as secretary of state. In this position, which he held from 1801 to 1809, Madison helped acquire the Louisiana Territory from the French in 1803, doubling the size of America. 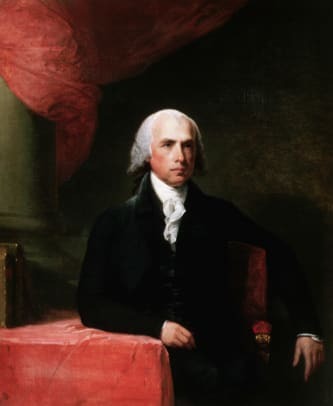 In 1807, Madison and Jefferson enacted an embargo on all trade with Britain and France. The two European countries were at war and, angered by America’s neutrality, they had begun attacking U.S. ships at sea. However, the embargo hurt America and its merchants and sailors more than Europe, which did not need the American goods. Jefferson ended the embargo in 1809 as he left office. In the presidential election of 1808, Madison defeated Federalist candidate Charles Cotesworth Pinckney (1745-1825) to become the nation’s fourth chief executive. Madison continued to face problems from overseas, as Britain and France had continued their attacks on American ships following the embargo. 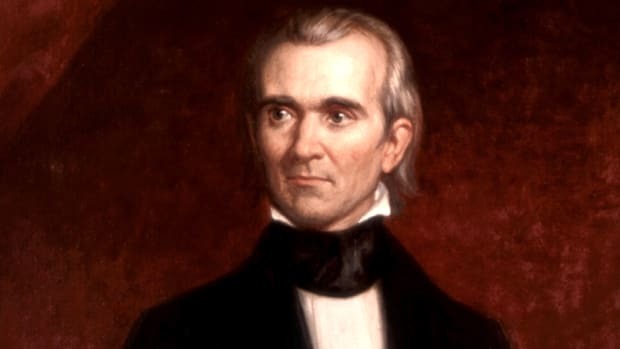 In addition to impeding U.S. trade, Britain took U.S. sailors for its own navy and began supporting American Indians in battles against U.S. settlers. In retaliation, Madison issued a war proclamation against Britain in 1812. However, America was not ready for a war. Congress had not properly funded or prepared an army, and a number of the states did not support what was referred to as “Mr. Madison’s War” and would not allow their militias to join the campaign. Despite these setbacks, American forces attempted to fight off and attack British forces. The U.S. met defeat much of the time both on land and at sea, but its well-built ships proved to be formidable foes. As the War of 1812 continued, Madison ran for re-election against Federalist candidate DeWitt Clinton (1767-1828), who was also supported by an anti-war faction of the Democratic-Republican Party, and won. Despite the victory, Madison was often criticized and blamed for the difficulties stemming from the war. Trade stopped between the U.S. and Europe, hurting American merchants once again. New England threatened secession from the Union. The Federalists undermined Madison’s efforts; and Madison was forced to flee Washington, D.C., in August 1814 as British troops invaded and burned buildings, including the White House, the Capitol and the Library of Congress. Finally, weary from battle, Britain and the U.S. agreed to negotiate an end to the war. The Treaty of Ghent was signed in December 1814 in Europe. Before word of the peace agreement reached America, a major victory for U.S. troops at the Battle of New Orleans (December 1814-January 1815) helped shine a positive light on the controversial war. 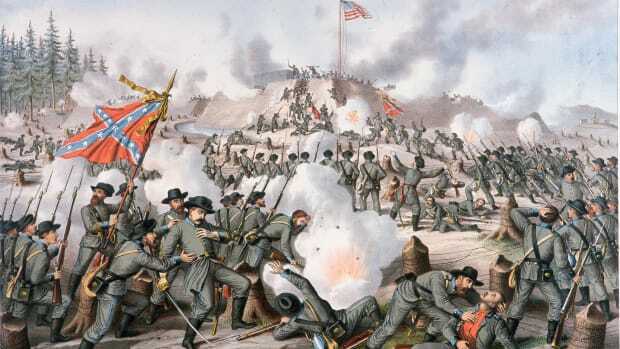 Though the war was mismanaged, there were some key victories that emboldened the Americans. Once blamed for the errors in the war, Madison was eventually hailed for its triumphs. After two terms in office, Madison left Washington, D.C., in 1817, and returned to Montpelier with his wife. Despite the challenges he encountered during his presidency, Madison was respected as a great thinker, communicator and statesman. He remained active in various civic causes, and in 1826 became rector of the University of Virginia, which was founded by his friend Thomas Jefferson. Madison died at Montpelier on June 28, 1836, at the age of 85.